Cub Pop t-shirt back from the past after more than 20 years! Got a note on Twitter from the fine folks at Mint Records saying they've put a classic Cub t-shirt back into print! Not seen since, what, 1993, when Bill and Randy created shirts in the style of Sub Pop's logo. For just under $15, you can represent! I think I'm down to a single ratty old stained Cub t-shirt in my drawer, so I may very well pick one of these up. They may sell out soon, so get over there pronto and pick 'em up. Just in time for Christmas! 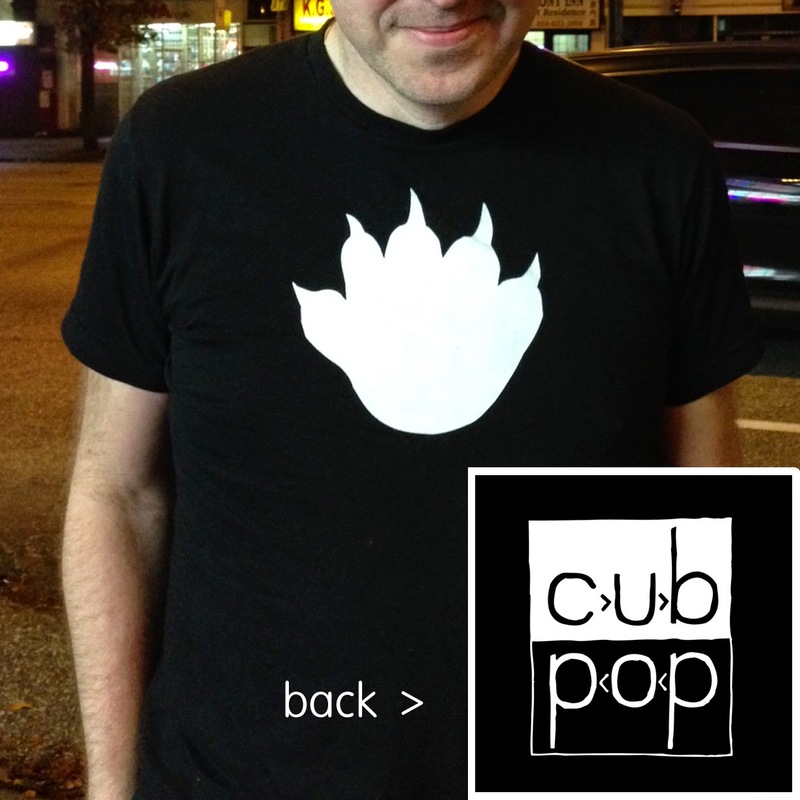 Get the Cub Pop t-shirt at Mint Records. Hey, don't forget the Box Of Hair T is also available.